Just 3 1/2 hours from Cancun lies one of the most extraordinary, ecologically unique and beautiful places in the world , Laguna de Bacalar (Bacalar Lagoon), yet very, very few tourists ever see it. Since I first learned of Laguna de Bacalar a few years ago, I’ve wanted to see it. In January 2016, I got my wish. The intense blue color of the clear, clear water in gemlike variations is truly a wonder and is why the lagoon is known as the Lake of Seven Colors. This extraordinary natural phenomenon is caused by the presence of saltwater and of underwater cenotes (deep, sinkholes in the porous limestone bedrock) fed by fresh water springs. It is entirely unique in the world. Bounded by pristine, white sand beaches and 60 km long, Laguna de Bacalar is truly a paradise. Laguna de Bacalar is easy to reach by bus or by car via the Carretara Reforma, a new and very safe highway, yet it is a world removed from the fun, sun and nightclubs of Cancun and Playa del Carmen. As you leave sleepy Tulum and its impressive Mayan fortress behind, you are truly in the real Yucatán. 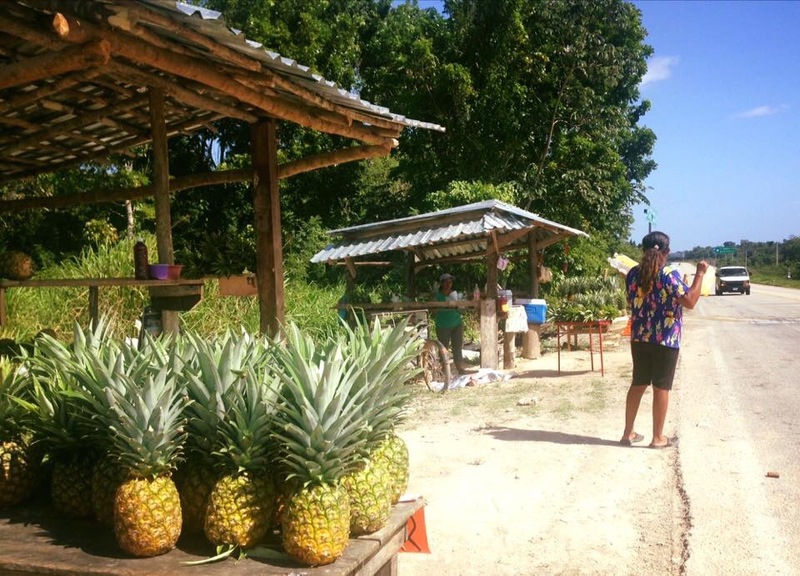 Stop along the way as I did to buy fresh pineapples (the sweetest I’ve ever tasted), three pineapples for the equivalent of $1. 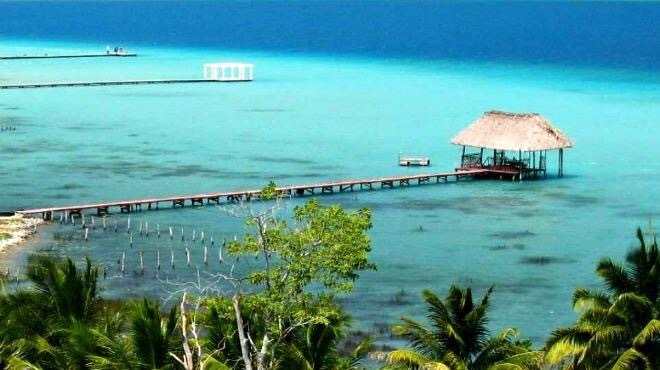 The village of Bacalar (the name is of Mayan derivation) was a Mayan city in precolumbian times. The Spanish conquered the city in 1543, the first Spanish colony in the region. 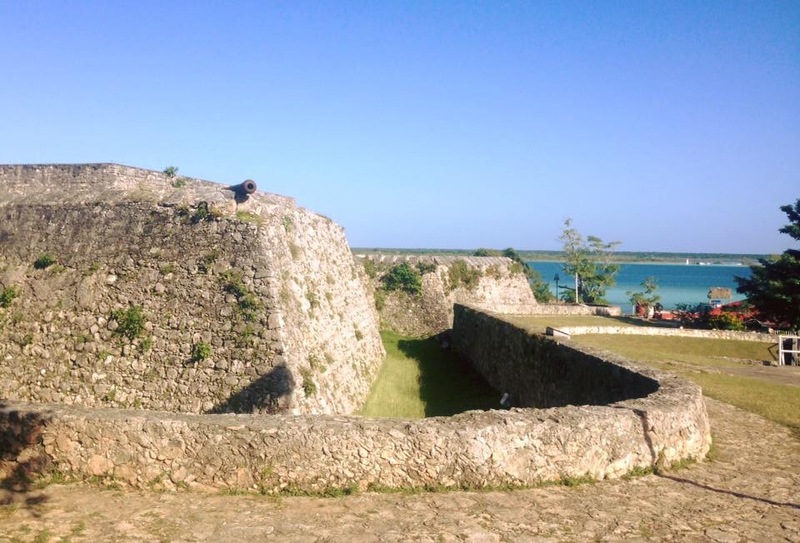 In 1739, they erected the fortress San Felipe Bacalar which now lies at the center of the sleepy village. Climbing it, one can enjoy spectacular views of the lagoon. If you are looking for fast nightlife and beach clubs with DJs, you won’t find them here. Nor will you find hordes of tourists. 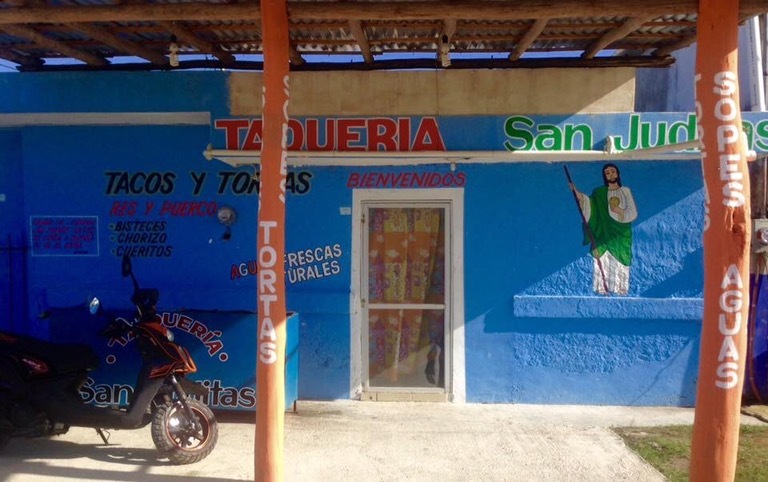 What you will find is a quiet, friendly, safe village with a lovely central plaza, a few restaurants, taco stands, bars and shops and a few small hotels and guest houses. We had a great stay at this guest house which I found on AirBnB. The views from the private terrace were gorgeous. 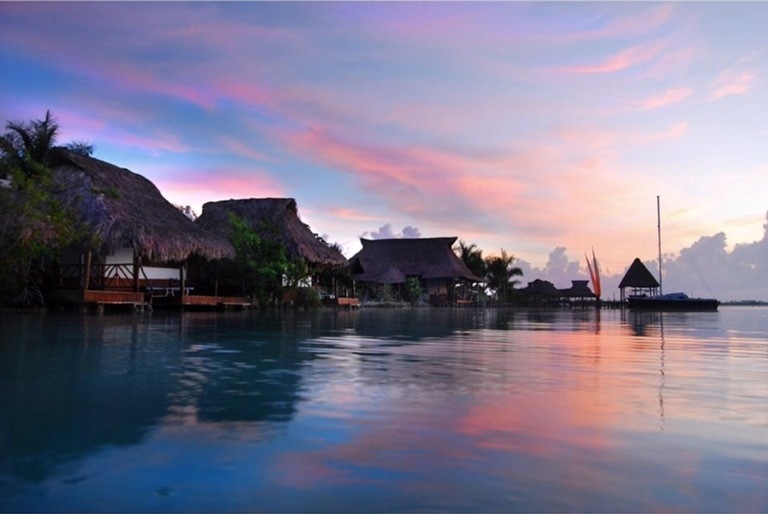 The cover photo is of the Hotel Akalki Bacalar, another lovely property. 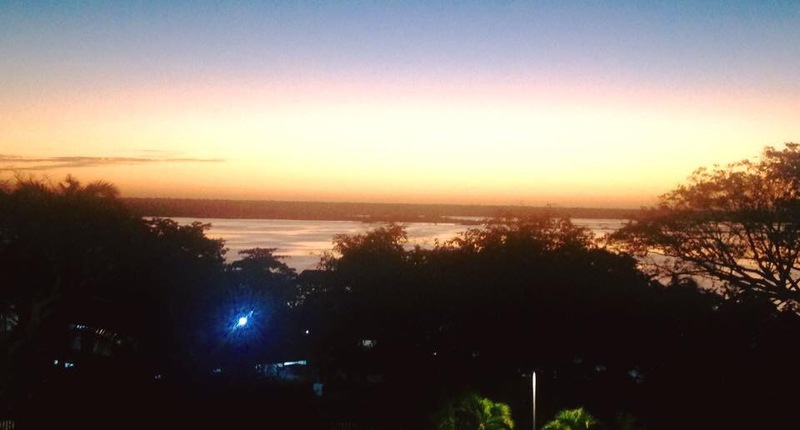 As if saving the best for last, Laguna de Bacalar ends the day with unparalleled sunsets. If you are planning a trip to Cancun, have fun! It’s a great place, and I love it. But do yourself a favor and set aside a few days for Laguna deBacalar. 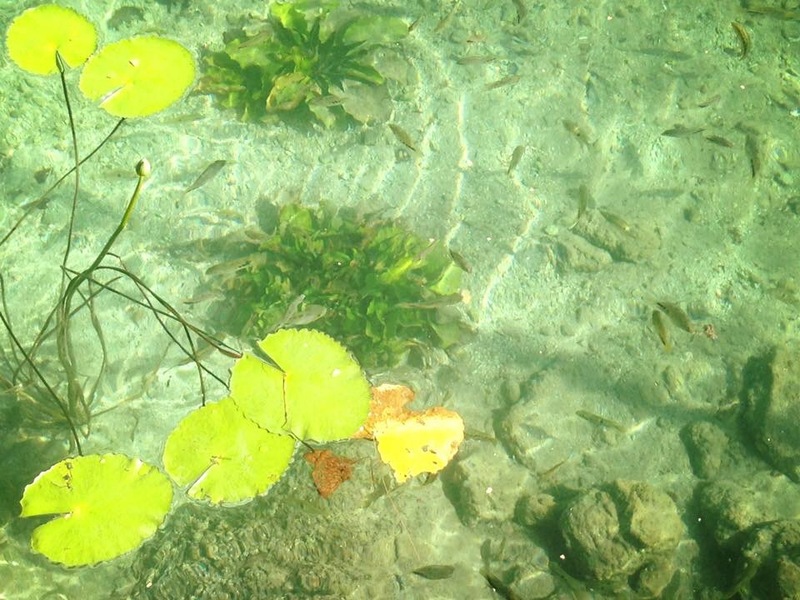 Cancun is fun; Laguna de Bacalar is truly extraordinary.